Anushka Sharma, who is Elle India's November issue cover girl, opened up about life after marriage in an exclusive interview to Elle India for the cover story, excerpts from which have been shared on the magazine's Instagram handle. Anushka Sharma and cricketer Virat Kohli had a destination wedding in December last year, after which they moved in to a swanky sea-facing apartment in Mumbai's Worli. In her interview with Elle India, busy star Anushka said nothing much has changed post marriage owing to their jam-packed schedules. "Marriage doesn't feel different. Virat and I have been working around the clock, we hardly spend time together, we both have very hectic lives." 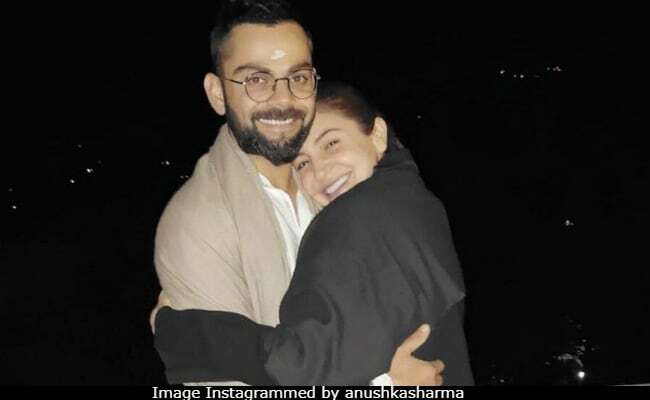 For Anushka and Virat, spending time together at home is a luxury, the actress told Elle India: "So, we are living in a house and we have spent barely any time in it. For us, home is, like, wow! It's a vacation." In October this year, Anushka and Virat celebrated their first Karva Chauth together - while she sliced out time from the promotional duties of her upcoming film Zero, Virat joined her after his ODI match in Pune the same day. Even last year, Virat Kohli had asked the BCCI to keep his roster free in December, which was said to be for his wedding festivities. Here's how the busy couple celebrated Karva Chauth - they shared glimpses of the celebrations on their social media accounts with loved-up posts. In December last year, Anushka and Virat flew off to Italy's Tuscany for a close-knit wedding away from the prying eyes of the paparazzi, after which they hosted two weddings in India. On the work front, Anushka Sharma will soon be seen in December release Zero, in which she co-stars with Shah Rukh Khan and Katrina Kaif - the film hits screens on December 21. Virat Kohli has been rested from the ongoing T20I series against the Windies and will next be seen in action with the Indian team in Australia.